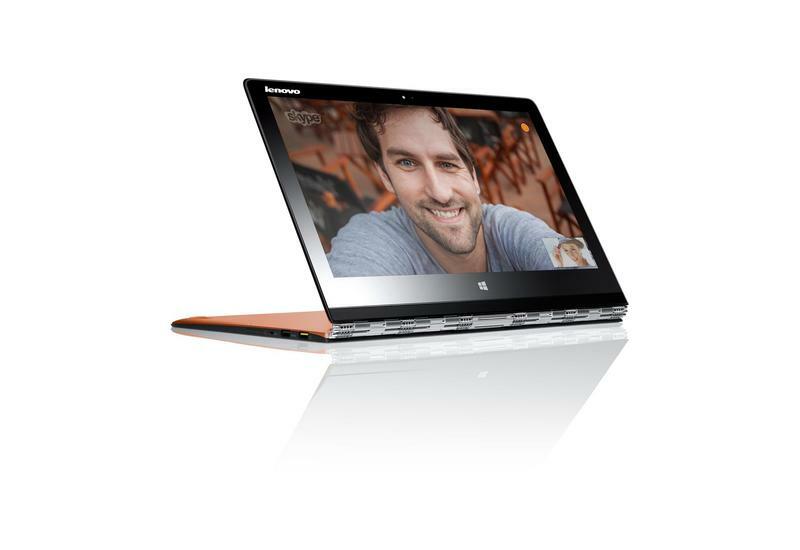 Lenovo on Thursday announced several new products during a press event in London. 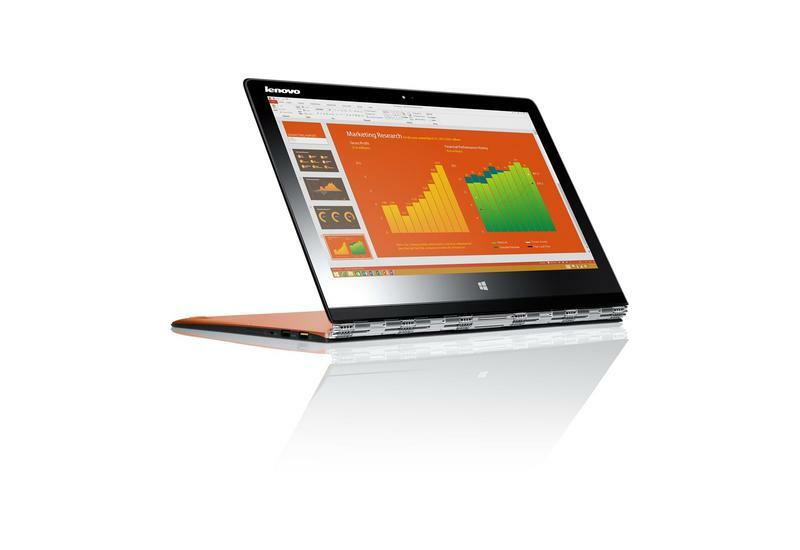 The highlight of the show, at least in our eyes, is the company’s brand new and stunning YOGA 3 Pro laptop. 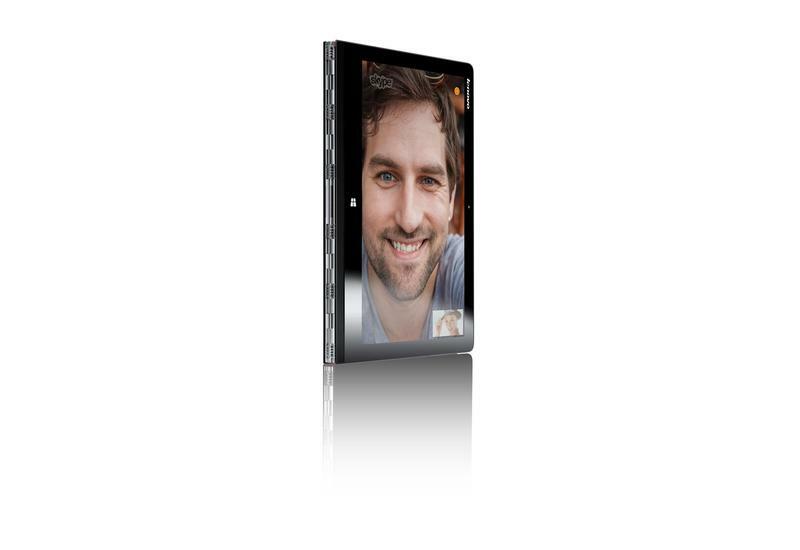 The entire laptop is just 12.8mm thick but it still packs some solid power despite its incredibly thin profile. Inside you’ll find Intel’s brand new Intel Core M-70 processor, a 256GB SSD, 8GB of RAM and a battery that provides up to 9 hours of juice. The system sports a brilliant 13.3-inch 3200 x 1800-pixel touchscreen display, Windows 8.1, two USB 3.0 ports and a third USB 2.0 port that actually also functions as a DC-in power jack. 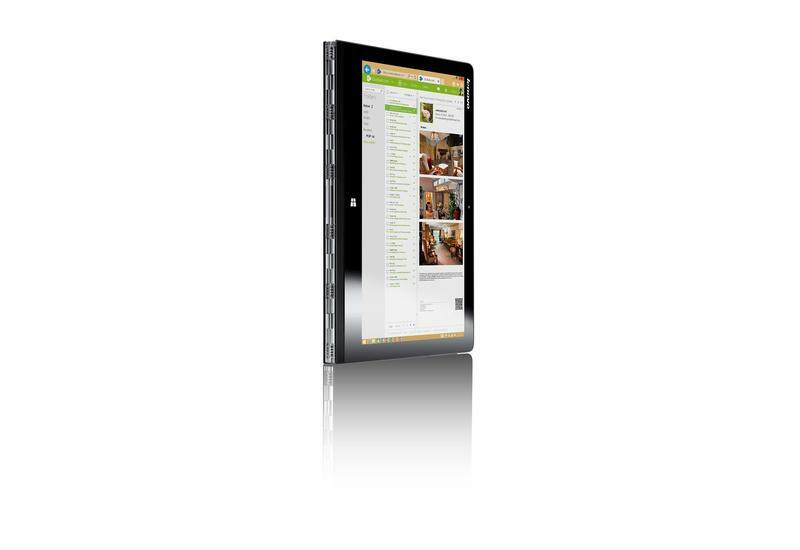 Other features include 802.11 ac Wi-Fi, a 720p webcam and integrated JBL speakers. I had a chance to check out the Lenovo YOGA 3 Pro recently and was blown away by how thin it was. It’s 17 percent thinner than last year’s model and has a really unique “watchband hinge” that’s built from more than 800 individual pieces that allow the device’s screen to flex fully around the entire computer while maintaining its rigidness. 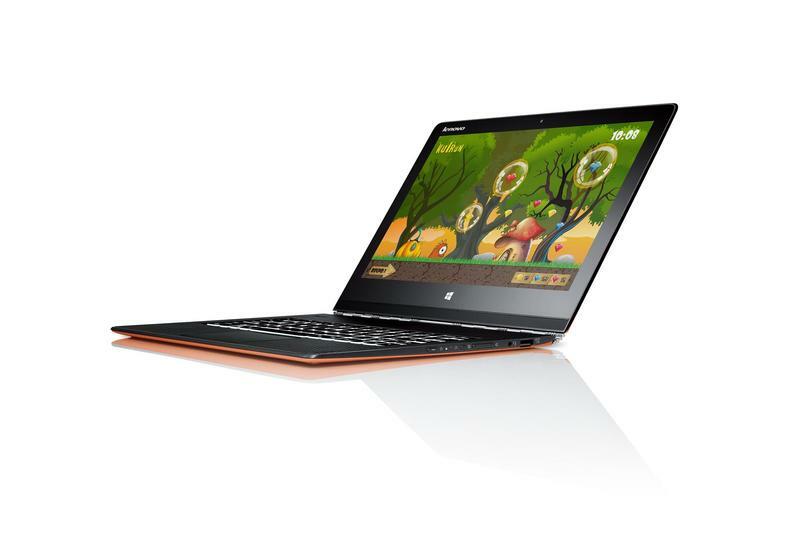 The YOGA 3 Pro will ship by the end of this month and can be purchased in Best Buy or direct from Lenovo with a starting price of $1,199, and you’ll be able to find it in orange, silver or gold.